The Scorpius was designed as a high performance notebook computer platform with long lifespan and full upgradeability. Scorpius can be customized for multiple roles such as an NVIDIA powered Quadro Workstation, a supercharged Gaming notebook or as a Professional Graphics supercomputer. 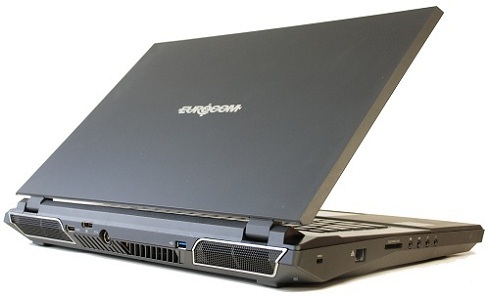 This document goes into great detail about the chipsets, processors, graphics options, memory, storage, security, video, audio, LCD and networking options supported by the EUROCOM Scorpius.